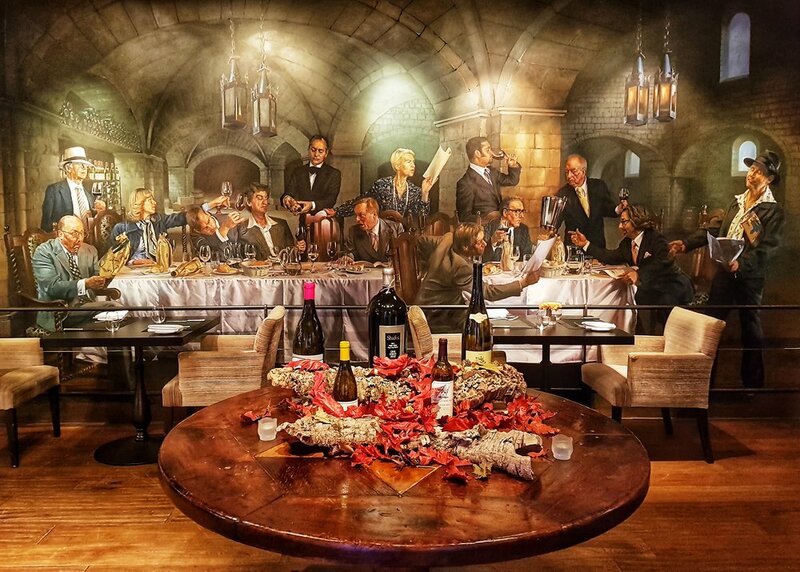 The Judgement of Paris is a historic event that took place in Paris in 1976, where a blind tasting was organised for famous wine experts. Californian wines came out on top against the French and a shock wave permeated throughout the wine industry. A recreation of this event decorates the wall of the California bar within The Vineyard Hotel and can be seen from the reception area. 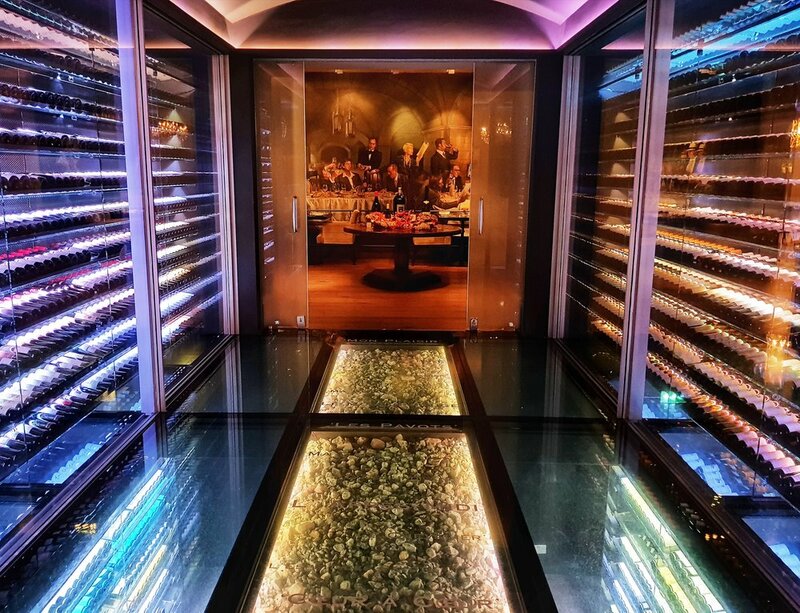 It is neatly framed by the spectacular wine vault, a real feature as you walk into the main entrance. The Vineyard Hotel is family owned and was set up by an English man named Sir Peter Michael to showcase wine from all over the world, currently housing 30,000 bottles in the cellars. Sir Peter also owns an award-winning vineyard in Sonoma, California and his own personal wine creations are on display and can be enjoyed with dinner as well as purchased to take home from the hotel. 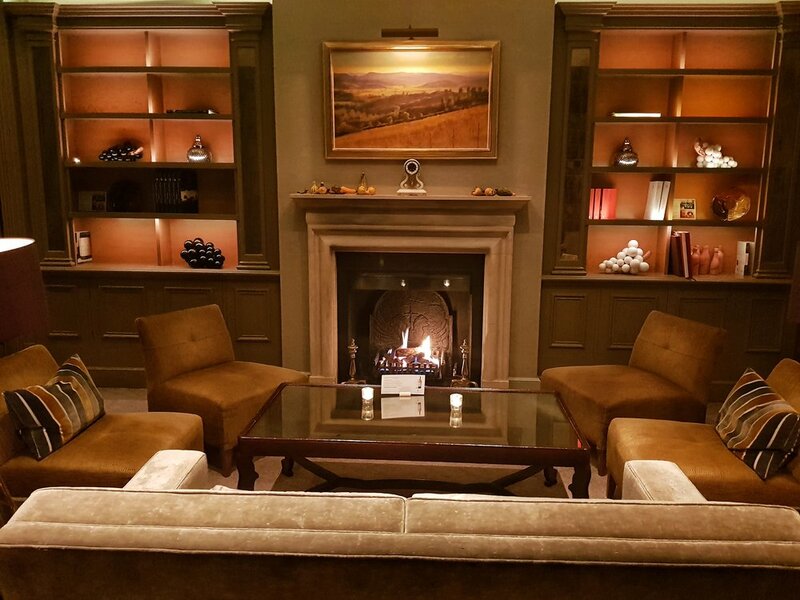 On arrival, my husband and I were welcomed with a chilled glass of English sparkling wine, the fires were roaring and I felt eager to explore the hotel and surroundings. 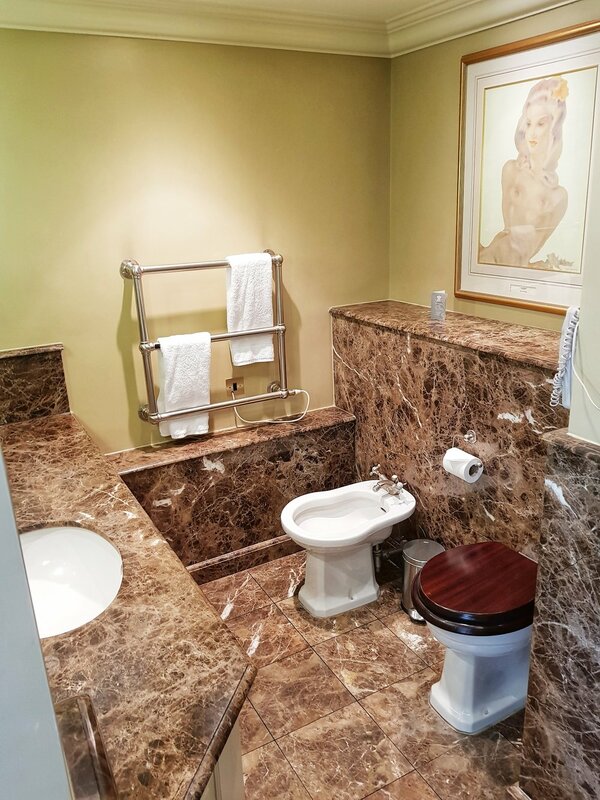 We checked into our room, a sizeable and luxurious traditional suite with a room for lounging as well as the bedroom. It was facing the main entrance and the sun light poured in through the balcony doors. 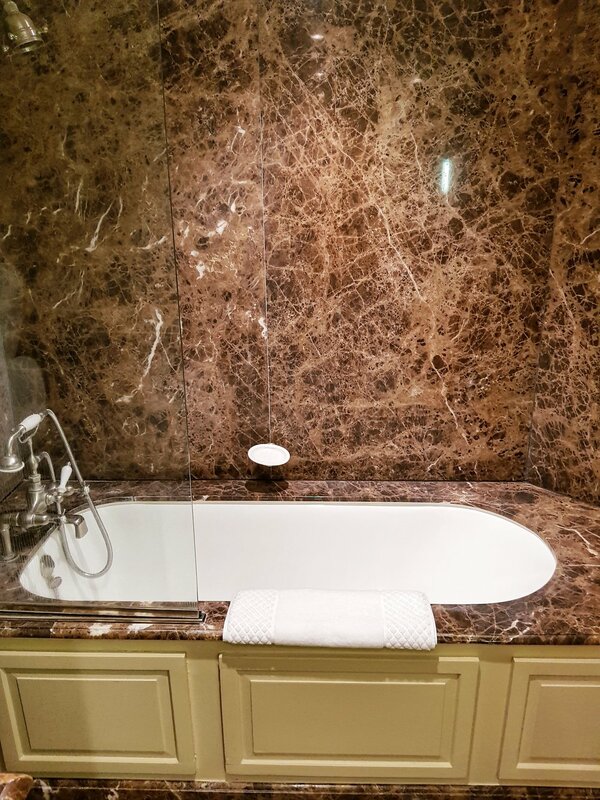 A gorgeous and extravagantly designed marble bathroom filled with Ren products was the final icing on the cake. Keen to visit the spa, we made our way to the facilities located towards the back of the main hotel. There is a gym, pool, jacuzzi, unisex sauna and steam room, and lots of indoor loungers. It is a relatively small but very comfortable spa and I especially enjoyed the Jacuzzi, pool and relaxing on the lounger, reading my book. Spa treatments are available but it is recommended you book them before arriving to avoid disappointment. After the spa, it was time to explore some of the nearby countryside. The hotel is located close to Newbury and is a very beautiful part of the world and this seemed to be heightened by the autumnal tones of the leaves in the trees. On our walk we went past a stunning golf course (pictured below) and also The Woodspeen restaurant, which I later found out is owned by John Smith, who used to be Head chef at The Vineyard. After building up quite the appetite for dinner, we headed to the main bar and restaurant, a wondrous and cosy setting, tastefully designed and decorated. There is so much to divulge about this sophisticated dining experience that I have decided to create an additional blog post, detailing the 'discovery tasting menu' with pairing wines that we had. The next morning we were sat back in the same grand dining room being served a la carte breakfast. 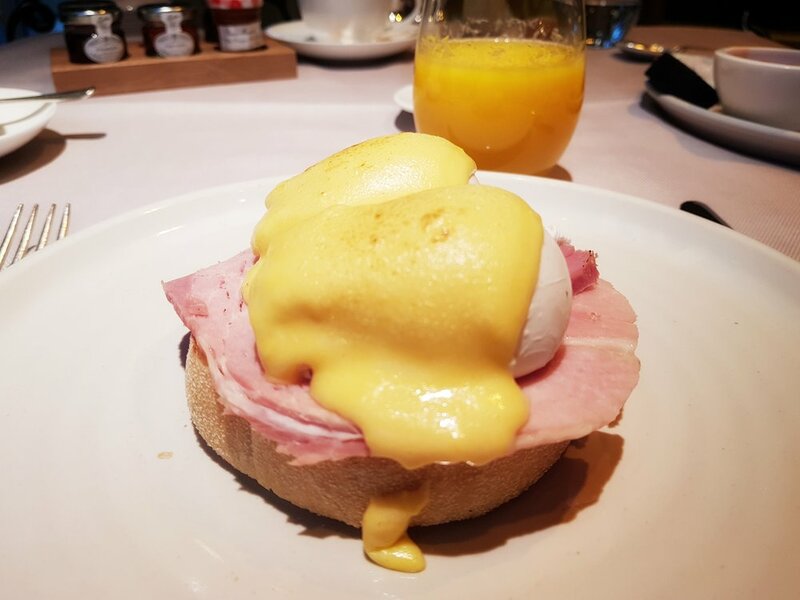 I had the eggs benedict which was excellent and we were placed in the perfect spot to admire some of the hotels 500 piece art collection. Restaurant Manager Rebecca Galland kindly shared her knowledge with us and gave us an incredible insight’s into Sir Peter’s Michael’s career and background whilst also pointing out the history of the art work surrounding us. My favourite pieces were those by Franco-Russian artist Boris Smirnoff. After a relaxing breakfast we were taken on a tour of the wine vault and cellar by the knowledgeable Francesca Baranello. It was extraordinary and fascinating. 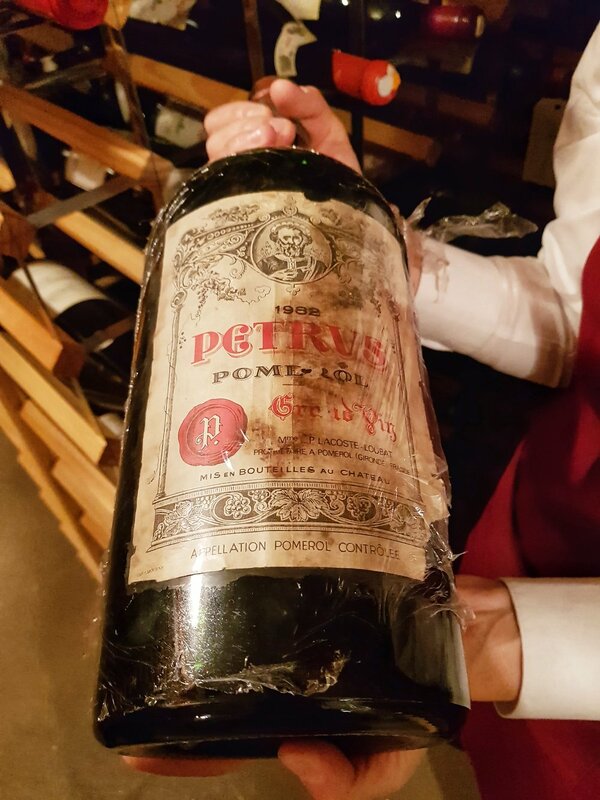 We viewed a bottle of 1982 Petrus, a steal at £20,000 and one from 1921 with it’s label and understandably some of it’s contents missing from the bottle. There was also lots of Sir Peter Michael’s own wine which unfortunately I did not get to try during my stay, but thankfully I now have an excuse for another visit. With 49 rooms, the hotel can be exclusively booked for a variety of events; away days, team building and conferences. For further insight on the events space on offer, click here. 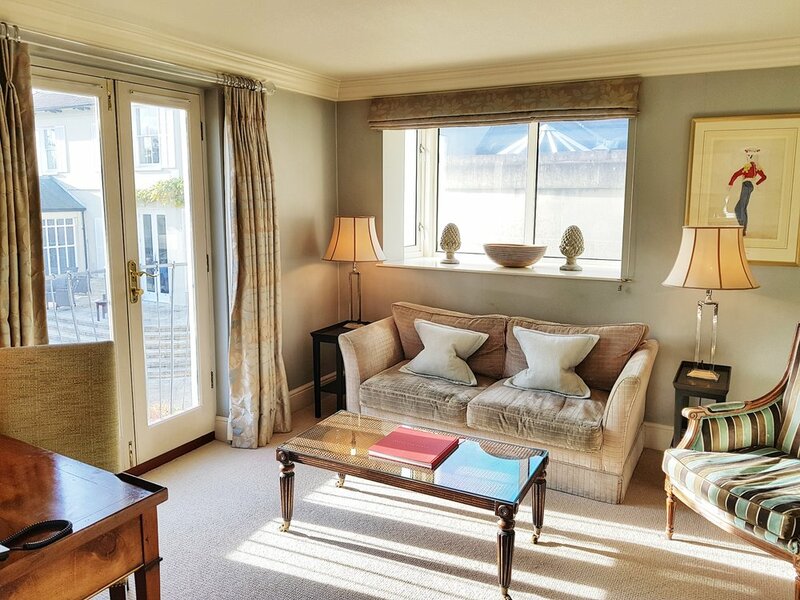 It is also worth noting that their sister hotel, The Donnington Valley Hotel and Spa is very close by and can easily accommodate further guests. There is also a modern wing at The Vineyard featuring high spec bedrooms, if this is a preference. WIth only being a 45 minute train journey from London Paddington, it was the ideal break from the city. A stress free journey and a stress free, indulgent stay with lots of delicious wine and so much to see, do and learn about.